This year, I am trying to have a more balanced life. After the stress of the last couple years, it has been great to just enjoy life. Things are going well. I have been going to the gym three or four times a week, and walking on the weekends. I have been taking time to live. For example, going to the pazar even when it would be quicker just to go to the grocery store. The quality of the produce is so much better, and I really enjoy getting out and looking through all the wares. Bülent and I are also eating and living cleaner. We are mostly vegetarian and I have been trying to use natural cleaning products, like this vinegar orange cleanser. I have also been preparing food for the work week during the weekend, which makes coming home from work and getting dinner ready less stressful. It also reduces the temptation to order take-out. I have even been packing my own healthy lunch, rather than eating the free (fairly unhealthy) meals at work. On the quest to have more balance, I decided to give up drinking for a month. I love wine as much as the next person, and have nothing against it, but I realized that a glass of wine after work was pretty habitual. I thought that if I abstained for a month, it would make me more mindful of appreciating what I was drinking, and make it a decision rather than a habit. Today my alcohol-free month is up. I will be buying myself a lovely bottle of wine for my birthday this week. Or, the makings for dirty martinis! Either way, I am sure it will be delicious! This entry was posted in Balance, Health, Natural, Pazar, Vegetarian and tagged Balance, Expat, Health, Natural Cleanser, Turkey by Jules. Bookmark the permalink. I figured you would. 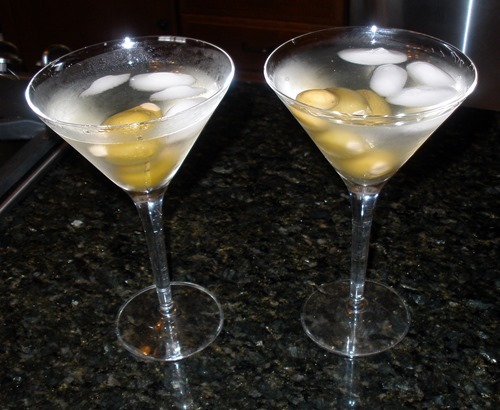 You make the best dirty martinis! Happy early birthday! And enjoy! This is a bit late, but Happy Birthday and can i ask where you go to the gym in Ankara? I’m looking around for one now.